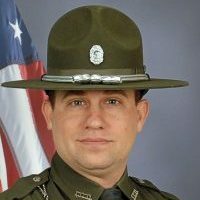 The Indiana Department of Conservation has selected Jon Watkins as the department’s 2018 Conservation Officer of the Year for local District 7. A native of Laporte County in northwest Indiana, Watkins, was assigned to Dubois County in 2006. He is active in the Dubois County Hunter Education and 4-H Shooting Sports programs and serves as a National Archery instructor and the School Program coach at Northeast Dubois High School. Besides being a perennial leader in enforcement actions and public appearances, Watkins also serves as a National Association of State Boating Law Administrators instructor, background investigator, boat accident investigator and sonar operator. The DNR’s 7th District consists of Dubois, Spencer, Pike, Daviess, Gibson, Knox, Martin, Posey, Vanderburgh, and Warrick counties. The Pitzer award is named after Indiana Conservation Officer James D. Pitzer, who was fatally shot while investigating illegal hunting activity on January 1, 1961 in Jay County. Be the first to comment on "Conservation Officer Assigned to Dubois County Picked As Local District’s Officer of the Year"